With the rolling massage function, you'll get to set the nodes to continuously move up and down the back area in a rolling massage fashion. The function lets you choose the part of the back that you'd like to get the most treatment and the width between the nodes. There's a small zone between the upper back and neck where the pad's effect is less noticeable. Zyllion ZMA-14 is easily the best massage pad on our list and one of the better options on the market today. Aside from its outstanding functionality and performance, the model's sleek and ergonomic design will allow you to easily fit it onto your favorite chair. 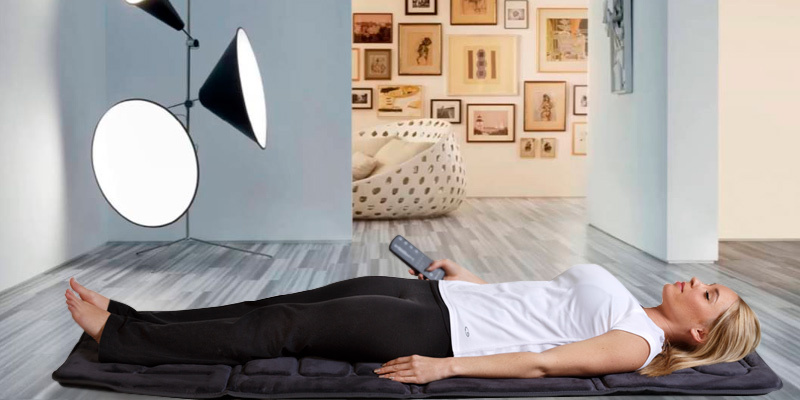 The mat features 4 massage modes, the same number of independently controllable zones, and 3 intensity levels, so you'll be able to fully customize the experience. The heat function has 4 heating zones that you can activate altogether or separately. Taller people may find it less effective than shorter ones. Snailax SL-363 may look like just a mat. But don't let this thing deceive you. 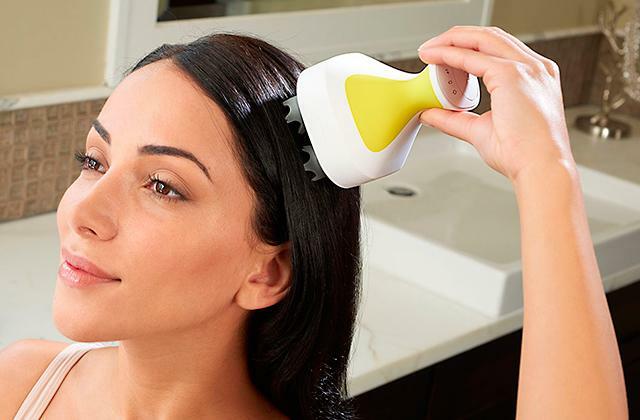 Under the soft exterior hides a well-engineered, powerful, and functional device, a device that does a bang-up job eliminating fatigue and relieving stress, aches, and tension. Wrapped in a durable and washable cover, it’s not going to get stained pretty quick and will definitely serve you for quite a while. The model's controls are easy and intuitive enough. After automatic shut-off, it's not recommended to turn it on right again. Allow it some break before next use. 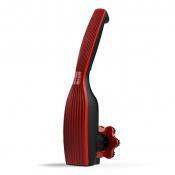 This is a versatile car massager that doesn’t bind you to any specific place of use. 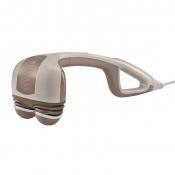 With one at your hand, you can enjoy having a massage at home, in your car or even in the office. 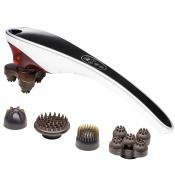 Equipped with 10 powerful vibrating motors, the model instantly relieves sore muscles and relaxes the whole body. All of its settings are accessible via a nice little handheld controller. 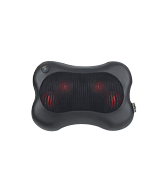 With the heat function, you'll be able to soothe your lumbar area, increase blood flow, and reduce stress and anxiety. Doesn't include a timer or an auto shut-off function. 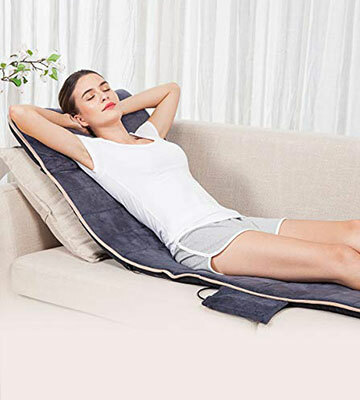 This massage pad from Belmint will prove a good purchase for people who like to travel, for people who don't care for an array of questionable functions and settings, as well as for people who enjoy a quality massage that targets every area and every part of their body. 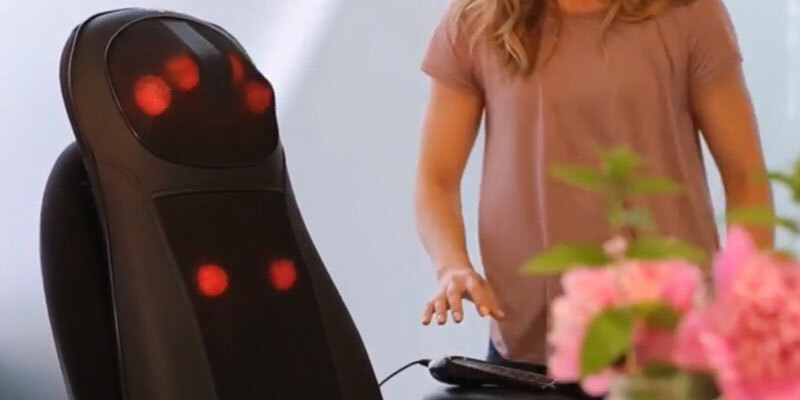 Incorporating the bi-directional movement control that mimics the motion of actual in-person massage therapy, the model automatically reverses every minute. An approach like that allows for better distribution of massage effects and provides a much more thorough treatment. 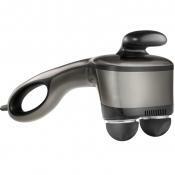 We could recommend this model from Etekcity to any massage enthusiast on a budget. For its price, the massage pad is surprisingly effective and particularly practical. Plus, the pure copper motor is really durable, so this thing should last you for a long time. 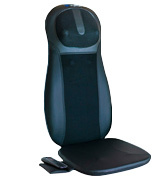 Zyllion ZMA-14 offers sorts of a middle ground between an expensive massage chair and a seldom as effective pad. 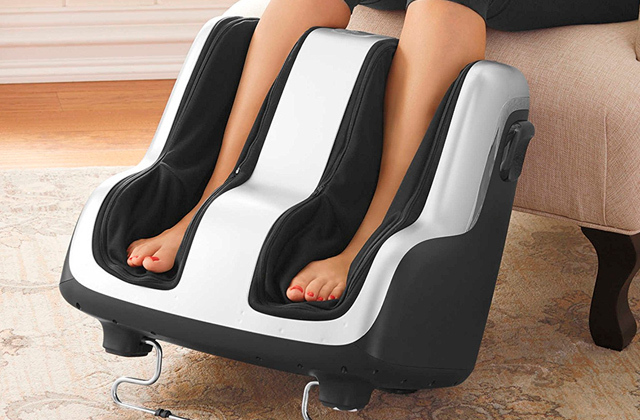 It isn't a proper chair but it will allow you to turn just about any surface with some back support into a massage chair. 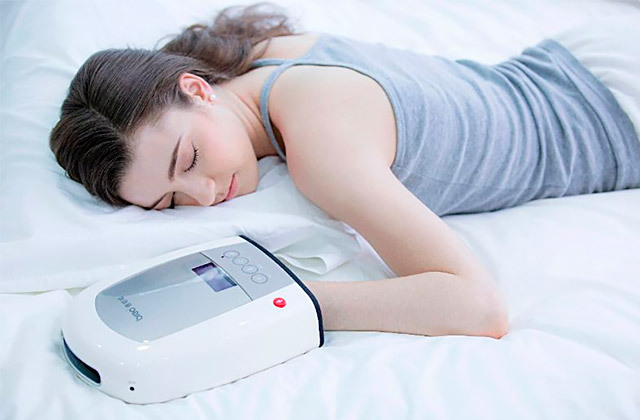 The best parts of the model are the 4 deep-kneading shiatsu neck massage nodes and the same number of just as deep-kneading shiatsu back massage nodes. The former are fully customizable. You'll be able to change the rotational direction of these nodes as well as move them up or down. This way, it will allow you to target the very exact spot you want. As for the back nodes, these things will knead the knots out of your back quicker than you can say Jack Robinson. You'll be able to select upper, lower, or full shiatsu back massage or, same as it is with the former nodes, there's an option of using the spot feature, the exact feature that allows you to target the area of your choice. The last thing about this massage chair pad that you'll be hard-pressed to find in most other pads is the rolling massage function. Using this function, you'll get to set the nodes to continuously move up and down the back area in, surprise, surprise, a rolling massage fashion. The function lets you choose the part of the back that you'd like to get the most treatment and the width between the nodes. Without wasting any more of your time, Zyllion ZMA-14 is easily the best massage pad on our list and one of the better options on the market today. 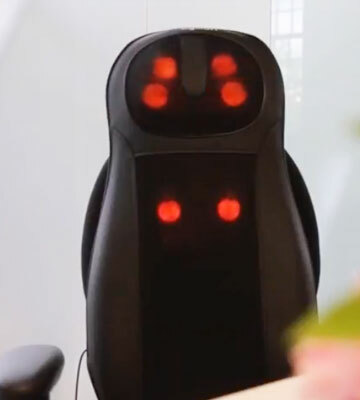 Aside from its outstanding functionality and performance, the model's sleek and ergonomic design will allow you to easily fit it onto your favorite chair. Snailax SL-363 is pretty awesome. For something that looks like a regular mat, this thing packs one hell of a punch. In addition to that punch, it gives you the same functionality that you'd get out of a bulkier, more expensive model. But we'll get to that in a moment. First, this massage mat incorporates 10 powerful vibrating massage motors. Sure, without the rolling balls, you don't get that kneading shiatsu massage. But don't write the vibrating massage off just yet. Again, the "powerful" part of the sell here is more accurate than you'd think. These motors give you the sort of soothing full-body massage that works wonders relieving stress, aches, tension, and eliminating fatigue. Plus, it's not like you won't be able to control the therapy yourself. On the contrary, as the model features 4 massage modes, the same number of independently controllable zones, and 3 intensity levels, you'll be the one in charge, deciding which parts of your body deserve preferential treatment and which ones don't. As far as functionality goes, you can also add to that equation an independent heat function with 4 different heat zones and a nice little remote control that lets you easily access all of these settings. But it isn't just about the functionality. Sure, the model's "internal elements" are important but so is the exterior. More specifically, the cover that is made of 100% plush and ridiculously soft polyester. It makes for such an inviting and comfortable surface that there's a good chance you wouldn't want to sit or lie on anything else afterward. Again, Snailax SL-363 may look like just a mat. But don't let this thing deceive you. 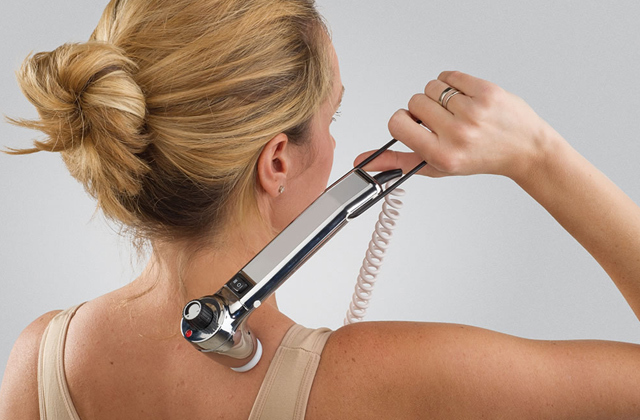 Under the soft exterior hides a well-engineered, powerful, and functional device, a device that does a bang-up job eliminating fatigue and relieving stress, aches, and tension. If you’ve got no place to store bulky chair pads or just don’t plan to spend a fortune, this massage cushion pad would be a great option. It’s very easy to use and it’s pretty affordable. The beauty about having one is its simple installation since it takes mere seconds. Besides, it’s very compact and thus, easy to store and carry around. 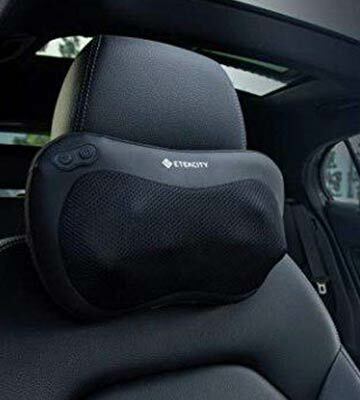 The Wagan IN2514 Heated Massage Lumbar Cushion comes with a car charger only so until you buy a power adapter, you’ll benefit from a calming massage only in a car. However, if you do get one, you’ll be able to secure your cushion pad to any chair and even bed. Compared to the other models in our review, this massage cushion pad relies on a single vibrating motor only yet, according to the feedback of our customers, it copes with its job pretty well. Since it’s not designed to cover your upper and lower back all along, its vibration is enough to soothe aching muscles and improve your blood circulation. 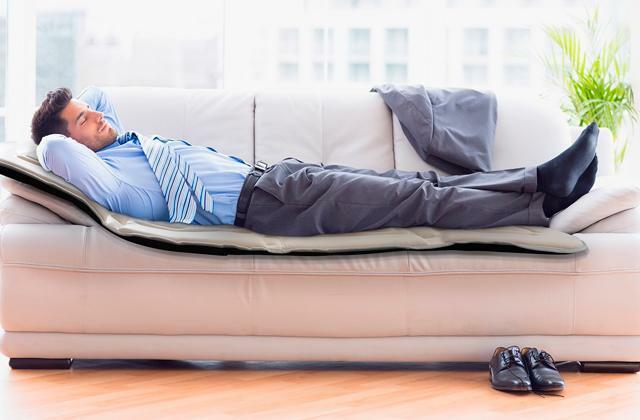 Those customers who need some additional heat directed at particular body spots can turn the heat on and put the cushion under the tensed part of their body and relieve pain. 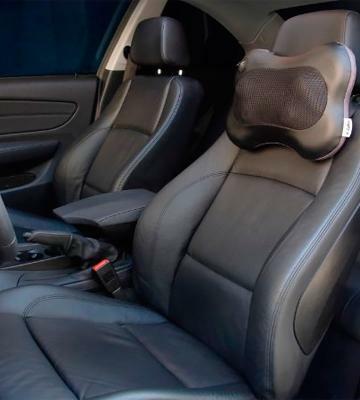 If you’re looking for a simple-to-use car massager, don’t look any further and get this Wagan IN2514 Heated Massage Lumbar Cushion for regular use. 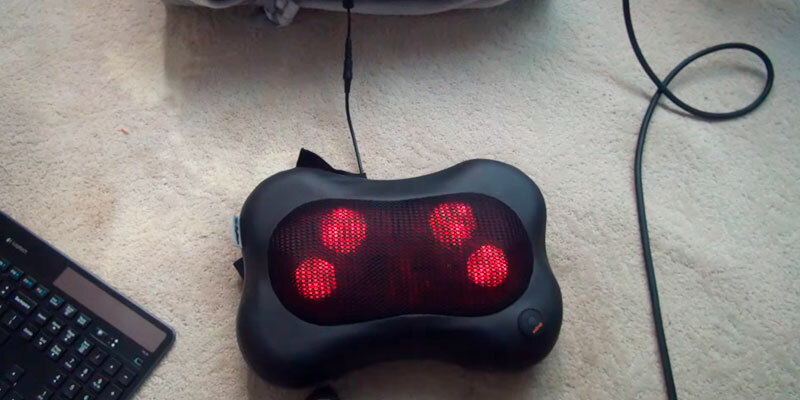 Despite a common belief that simple things can’t be effective, this car cushion massager proves to be different. Its massage capabilities are worth a try! Among other things, it is great for back pain as well as for neck pain. Plus, the model is just as suitable for car use as it is for bed use. Wrapped in a durable and washable cover, it’s not going to get stained pretty quick and will definitely serve you for quite a while. Whenever you plan to set on a long journey, just grab it in a car and use to relax. Two buttons on the side (On/Off and Heat On/Off) facilitate usage greatly. Some people like their massage pads intricate and complex, with all kinds of different settings. But if you ask us, the majority of these settings, more often than not, are a bit of an overkill. That's not the case with this model from Belmint. It doesn't include a whole lot of different settings. There's no timer nor will you find an automatic shut-off function here. To some, it is a negative thing, a downside of the product. But we find it refreshing. You can just turn it on and let the 10 powerful vibrating motors do their job. Now, we aren't saying that it doesn't give you any room for customization. We could actually say it's the other way around. Equipped with 5 pre-programmed modes, 4 massage zones that you can control independently, and 3 intensity levels, there's very little this device won't allow you to control. Plus, all of these settings are accessible via a nice little handheld controller. 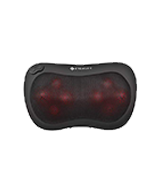 As it is usually the case with these massage pads, the model also incorporates a heat function that you can turn on and off at will. Use it separately or in conjunction with the massage functions to soothe your lumbar area, increase blood flow, and reduce stress and anxiety. Finally, the whole thing weighs less than 2 pounds, so you'll be able to bring it with you to the office or on a vacation trip. 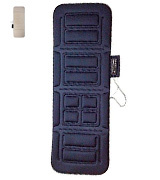 Using the straps that come with the pad, you can fold the mat up and fit it inside a backpack. 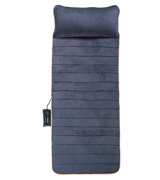 In short, this electric massage pad with rollers from Belmint will prove a good purchase for people who like to travel, for people who don't care for an array of questionable functions and settings, as well as for people who enjoy a quality massage that targets every area and every part of their body. 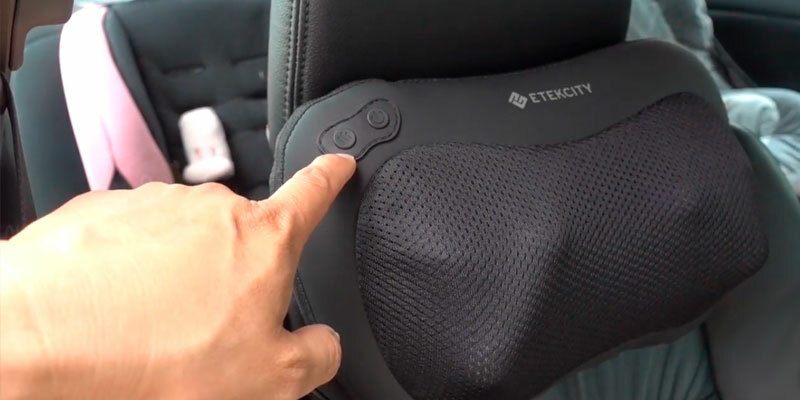 First things first, this massage pad from Etekcity isn't just inexpensive. Compared to most similar models, it is downright cheap. And there's very little that the model compromises to make up for that modest price. For the most part, the only way this pad loses to its more expensive counterparts is in the number of customization options. Though it's not like it necessarily disappoints on that front either. Honestly, for most customers, 2 adjustable roller speed settings and 2 heat options will be more than enough. On top of that, incorporating the bi-directional movement control that mimics the motion of actual in-person massage therapy, the model automatically reverses every minute. An approach like that allows for better distribution of massage effects and provides a much more thorough treatment. Not dissimilar to its more expensive peers, this massage pad includes an optional heat setting, so you'll be able to combine it with the massage functions or use that heat function separately. 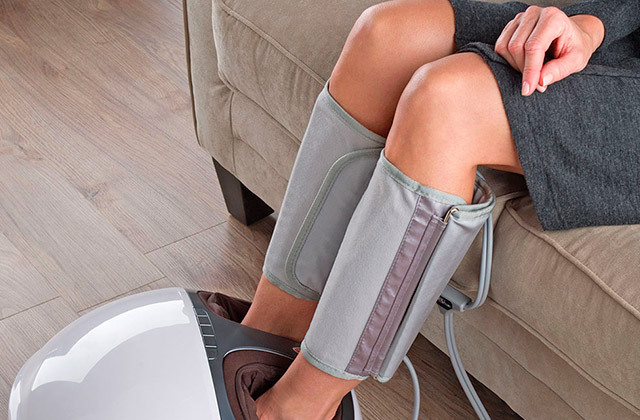 The automatic 20-minute shut-off function will prevent you from overexposing yourself to the therapy and an overheat protection function will prevent the pad from getting too hot for its own good. Plus, considering that it adds up 13.3 x 4.3 x 8.6 inches in overall dimensions, you can always throw this thing into a work bag as you commute or travel. 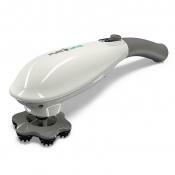 All things considered, we could recommend this model from Etekcity to any massage enthusiast on a budget. 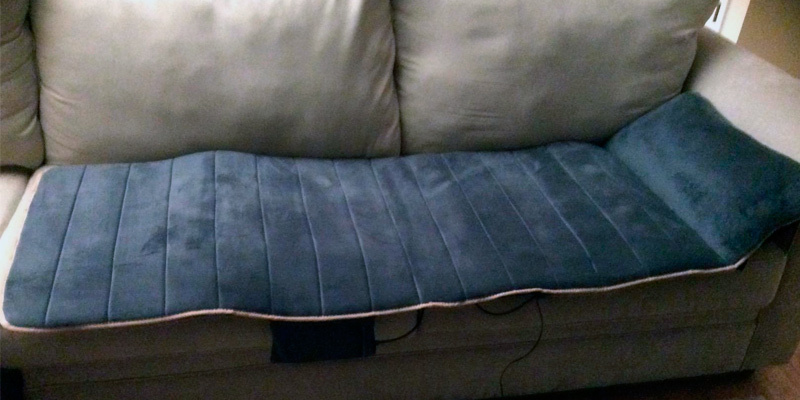 For its price, the massage pad is surprisingly effective and particularly practical. Plus, the pure copper motor is really durable, so this thing should last you for a long time. What Is a Massage Pad? There are so many benefits to massage therapy that it would take us hours to simply list and briefly describe all of them. That said, a massage chair is, more often than not, way too expensive. And frequent trips to a professional masseuse will end up costing you a nice sum of money in the long run too. So, what's the solution? Well, a massage pad could definitely be one of them. 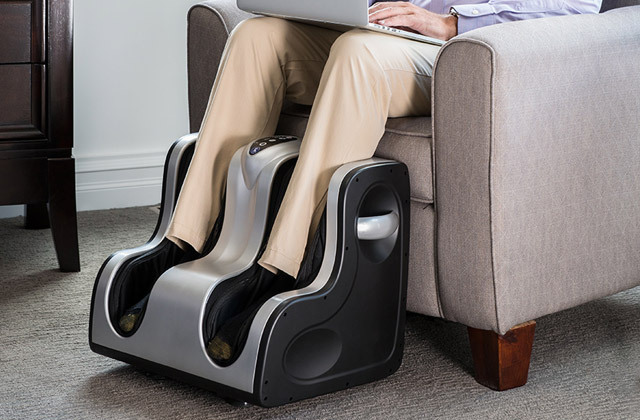 First and foremost, it is a lot less expensive than a massage chair. 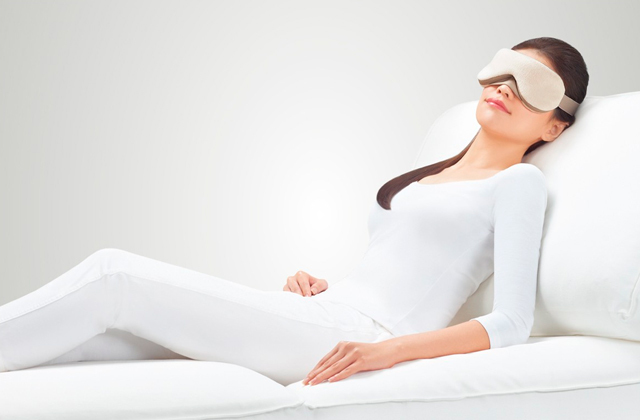 Nevertheless, it offers the same convenience of a quality massage in the comforts of your own home. Plus, despite the much more modest price tag that these things come with, the quality of massage that they offer and the number of different types are often comparable to some of the more expensive high-end chairs. There are a number of differences between different models. Look into the construction, consider the number of applications, keep in mind the overall functionality, and don't forget to inquire into the number of massage types that your potential prospect is capable of performing. 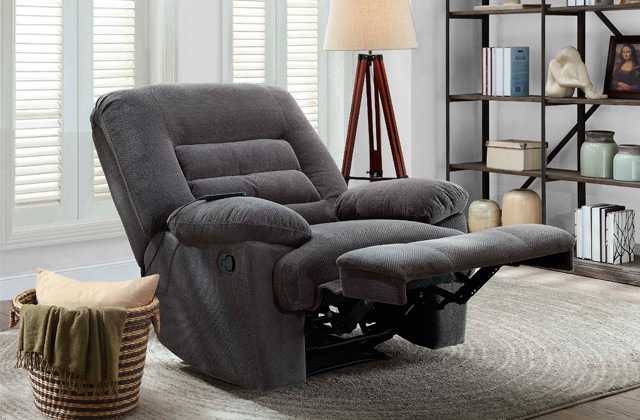 Of course, if you do have a few hundred pounds to spend, a massage chair might just prove a better fit for you. 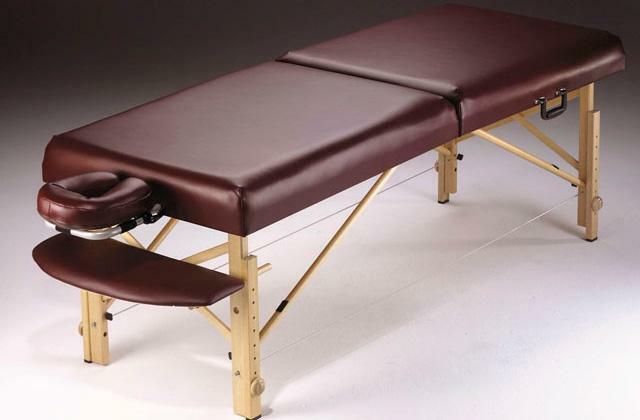 And if you've set your sights on becoming a professional massage therapist, we would recommend our review of massage tables.